The CYS group can be located here. List mom Barb had the brilliant idea- lets use our stash items- with a monthly theme, I am sure finding no shortage of items to use in my creative space for this challenge...!!! Even those in the 'get rid of' pile....... 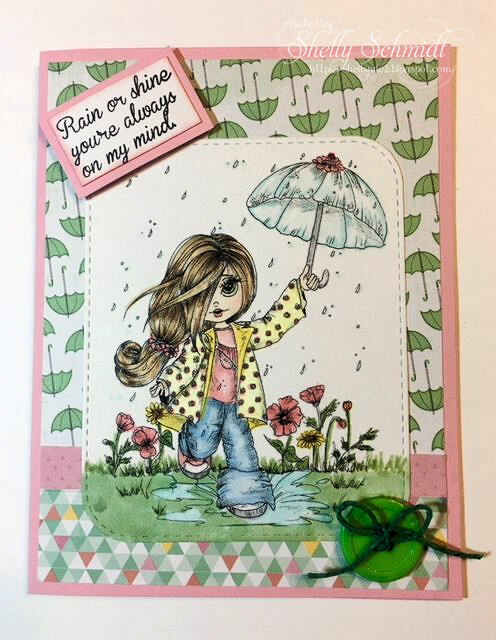 HERE is a link to all of the April cards at Splitcoaststampers for this challenge. I remember when buttons went on every card I made - and I still have so many of them. Maybe they'll come back and be the fad again but in the meantime, the button on here looks so perfect! I don't think you could have picked a better embellishment. I love that image and your mix of the patterned paper too. Outstanding card Shelly. 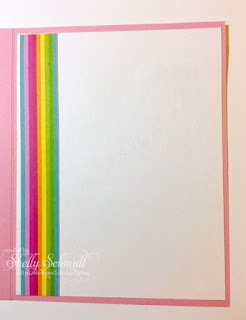 Adorable card Shelly! I should really join your group but I have to wait until after the wedding. Less than a month to go. 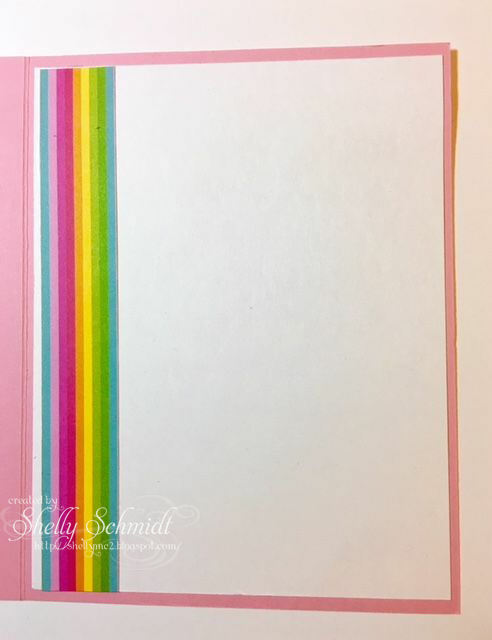 I love the rainbow on the inside of the card. Fits perfectly! Thanks for sharing. Shelly this is beautiful. Great coloring. Love the rainbow of colors inside. Shelly, your card is adorable. What a sweet image! So cute Shelly. Love this! What a cutie out for a stroll in the rain!! Precious card, Shelly!